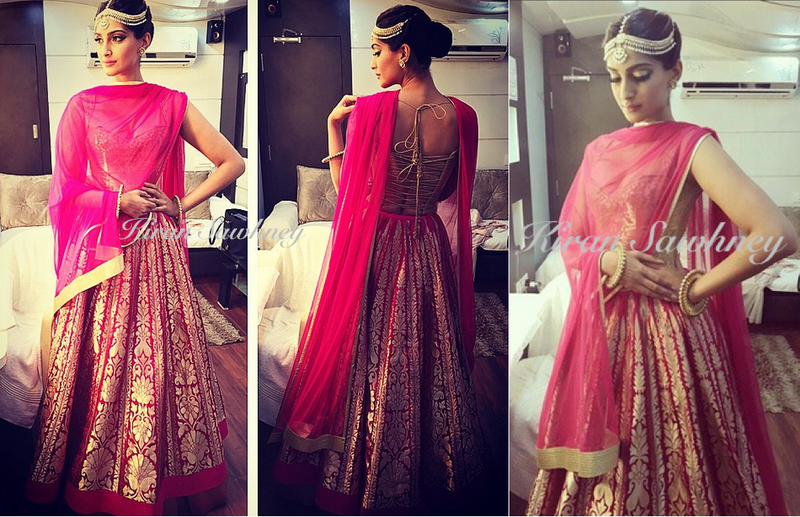 Sonam Kapoor wore a red Rohit Bal lehenga, complete with Matha Patti and earrings from Amrapali jewels. Her kadas were from Ghana Singh. She looked incredible. There is nothing that cannot be liked in this look.